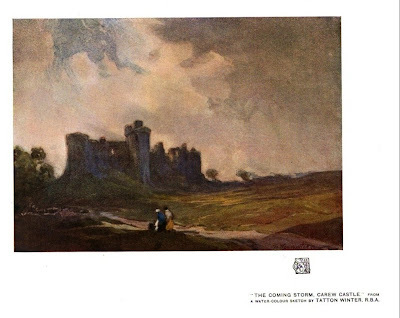 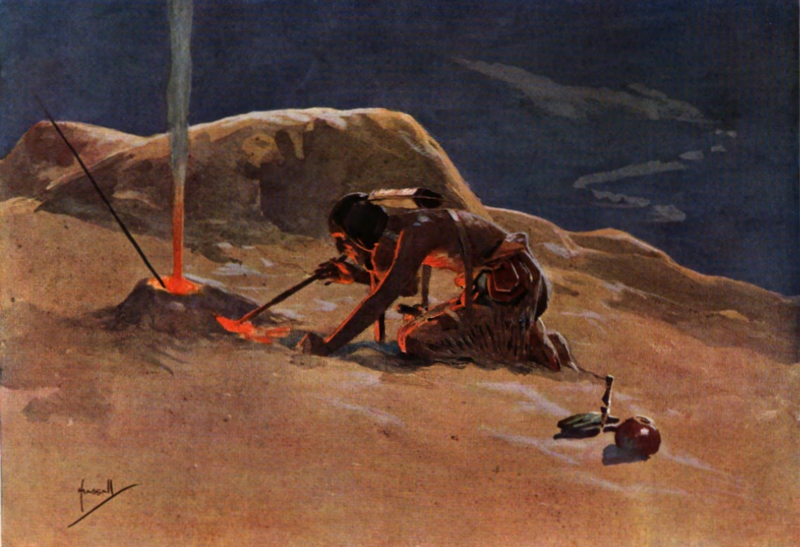 The Forge, watercolour sketch by John Hassall. 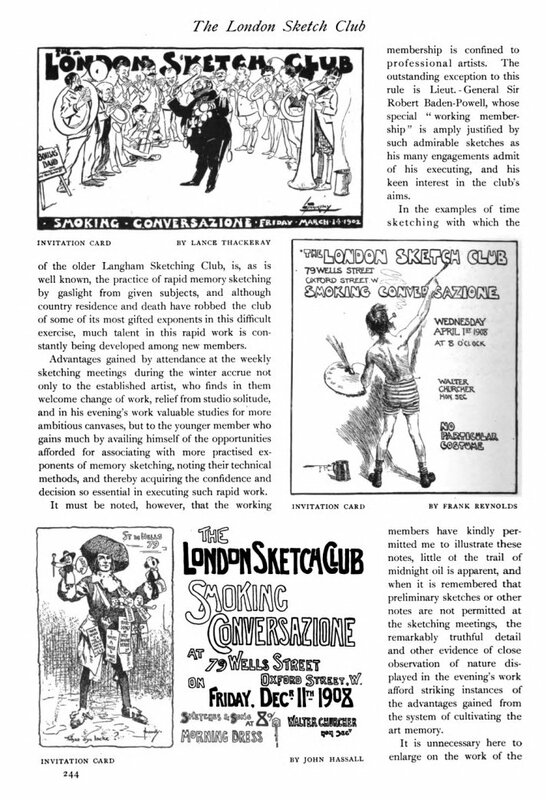 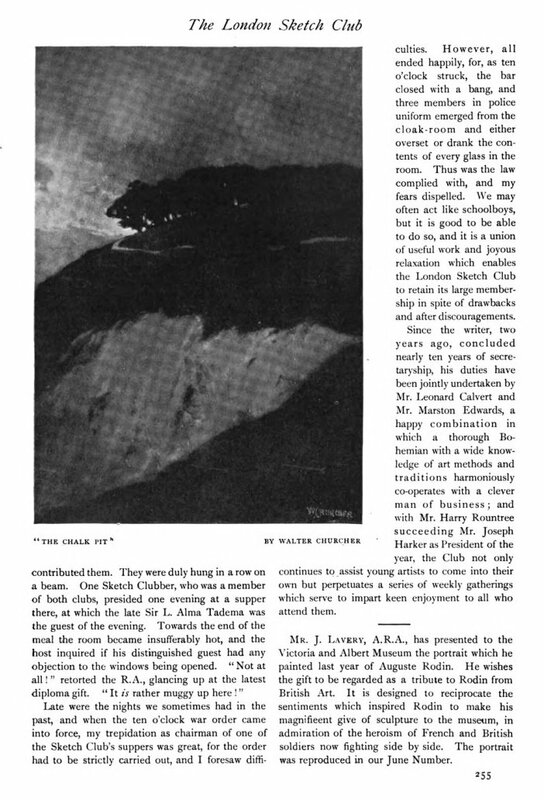 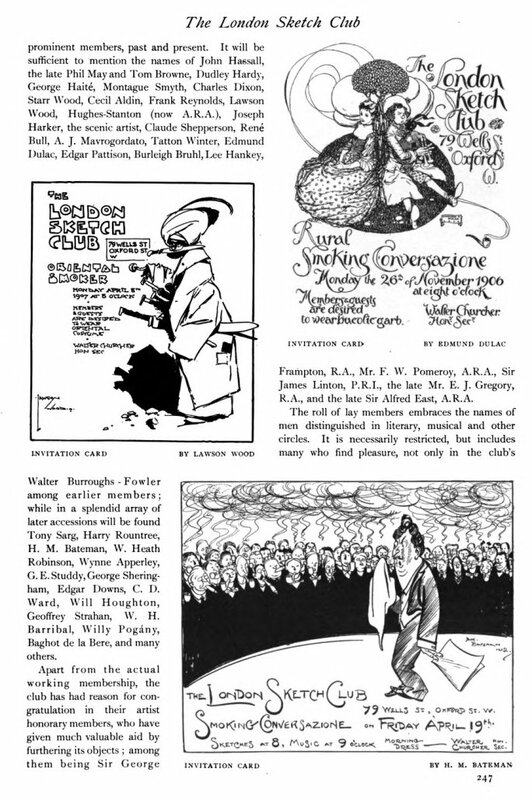 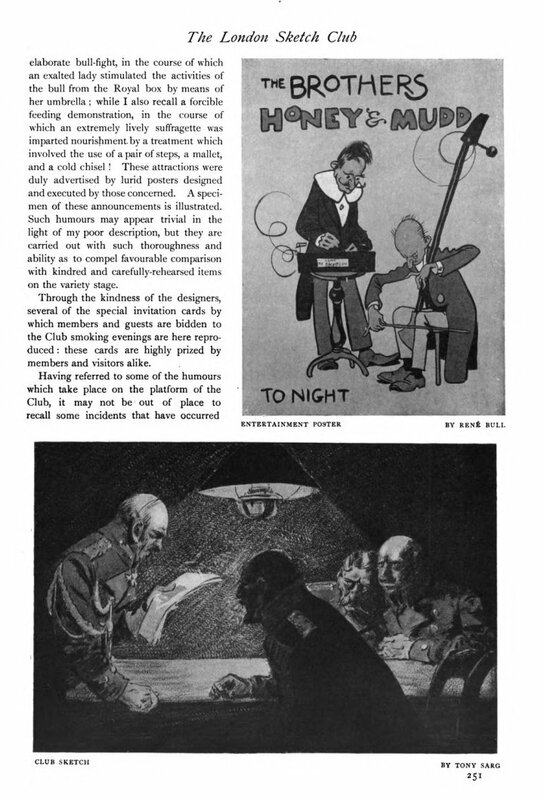 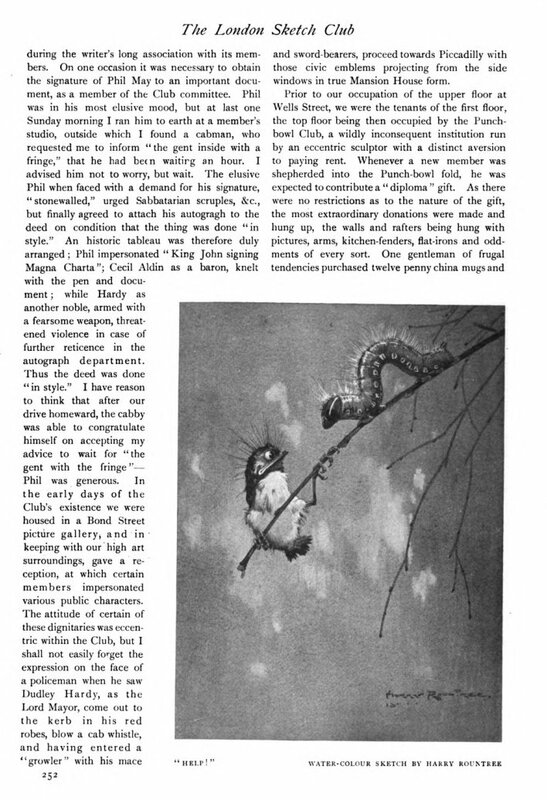 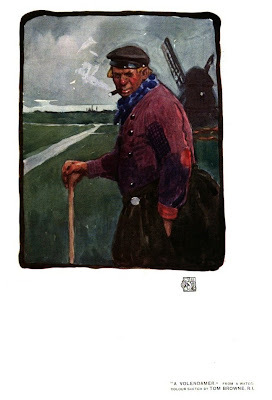 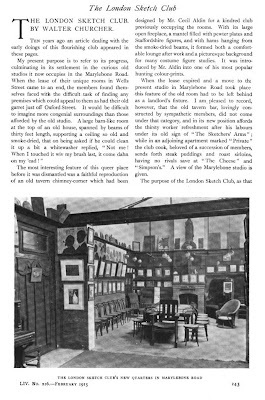 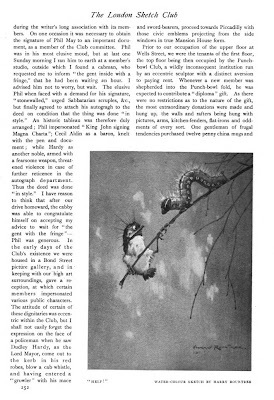 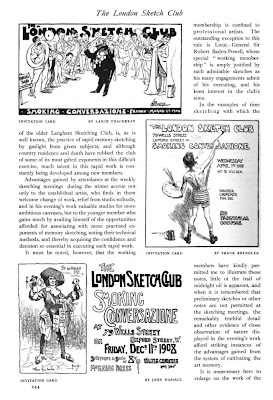 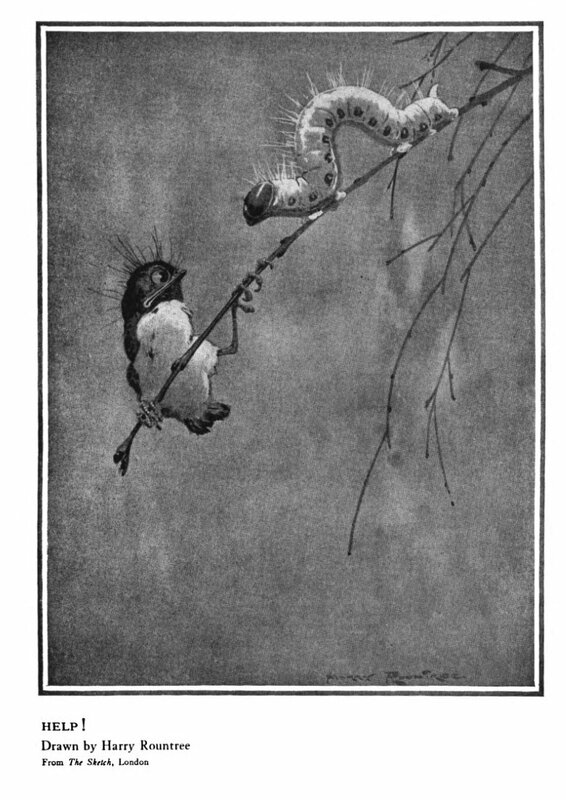 Walter Churcher, the club’s former secretary, wrote this short memoir of the London Sketch Club, for The International Studio, Vol. 54, No. 216, February 1915, pp.243-255. 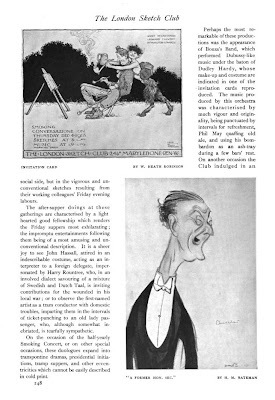 See the portrait H.M. Bateman made of him in . 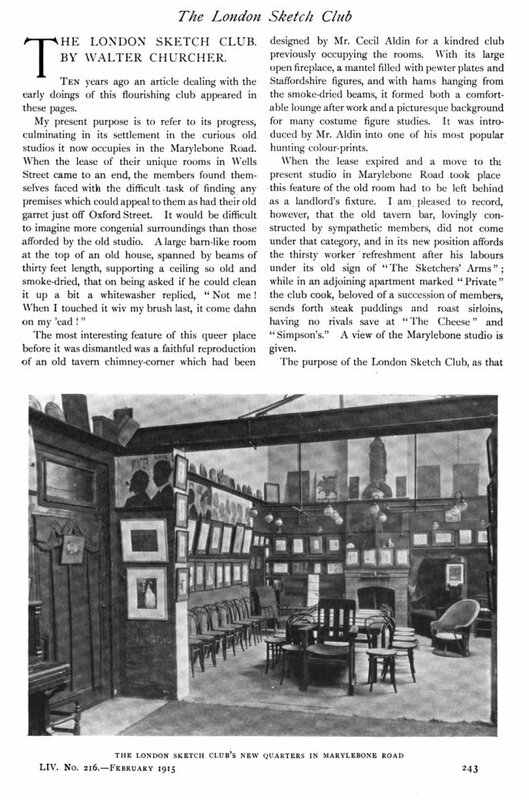 The club’s new quarters, Marylebone Road.